I'm curious as to what rules come into play on a player under contract visiting another team. I'd hope that Tomlin and the FO were damn sure there wouldn't be a violation before they let it happen. TBH I would call the Dolphins right now and trade for him. 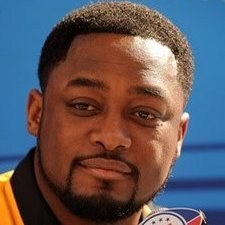 LT is being reinstated by the Phins. It doesn't appear the LT experiment has gone well. Would he be worth it for Vet minimum if they drop him this offseason? Is he better than L.J. Fort? Check. I'd sign him in a second as long as he knows VW is the starter now. Is he as good as LJ Fort on special teams? Because that’s what we need from our backup ILB’s. If I was Pitt I wouldn't hesitate to resign Timmons as insurance. In typical Dolphins fashion, they acquired a competent vet and misplaced him in an unsuitable scheme. Timmons had played his entire career in a 3-4 behind a 2 gap DL, and Miami thought it would be a feasible to place him in a 4-3 one gap front. MIami's FO is more prone for the decline in play here than what Timmons is responsible for, IMO. I wouldn't re-sign him. He was a step slow in his prime. Now he'll be 3 steps slow. I think he was a good dude, but never did much care for him as a player. That's contradictory to what other Dolphins fan(s) have suggested. It was their belief that he was flourishing in the system and it was the 3-4 that had caused his play to decline. To me the obvious answer is that he cannot excel in either anymore. Good point, but having a quality defender trumps having a quality STer imo. Timmons can play ST if called upon. I don't drink the aqua & coral koolaid so I don't artificially praise the Dolphins or make up erroneous excuses for their improper decisions. And what system was he flourishing in? Certainly not Miami's. Timmons was never going to successfully make a transition into a defensive scheme that he had never played in his professional career. That simply neglects logic. Timmons, much like how James Harrison is currently being used, would be veteran insurance and not a full-time starter should he return. *Miami made the same mistake with Kiko Alonso as well. A 3-4 backer who we put in a 4-3 system. in his prime he was an absolute missile. He wasn't a step slow, he was the 2nd fastest guy on the defense to the ball next to Troy. That was well over half a decade ago. He *has* been a step slow for a good half decade now, and if we sign him for vet minimum, it wouldn't be to play as a starter, that's for sure.